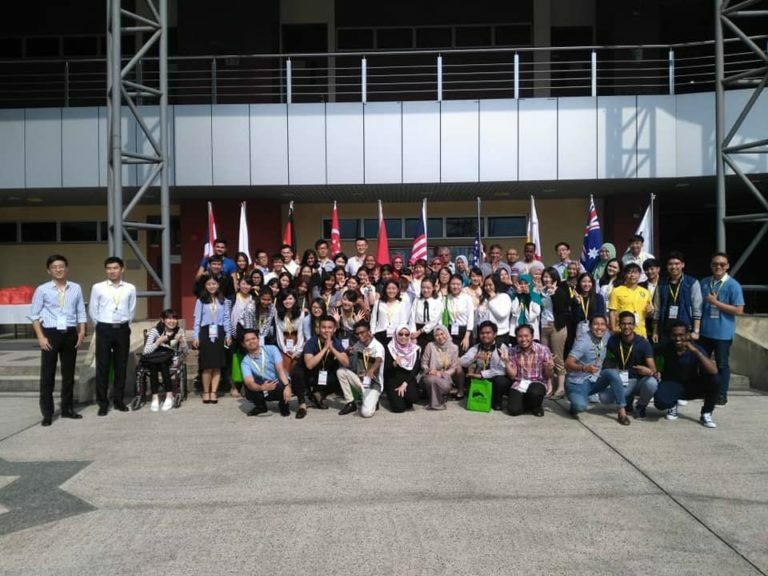 6 August 2018: More than 50 students from countries including China, Japan, Philippines, Thailand, and Malaysia participated in a training programme by Asia Technological University Network (ATU-Net). In support of the student’s conference of the 16th Asia Pacific Student Services Association International Conference 2018 (APSSA2018) that took place in UTM Kuala Lumpur from 6-10 August 2018, the training programme which was conducted on the first day, provided students opportunities for self-expression and online socialisation to form relationships and create real connections. In the 5-hour training programme, students were exposed to strategies to communicate across cultures on cyberspace, with an emphasis on creating a social media footprint. The programme introduced to the students how technology and language can be integrated to express themselves, create online identity, and project social presence that are necessary for the development of personal branding and engagement in the online context. Working with team members from other countries, the students created a storyboard, outlined their speech script, and rehearsed, recorded and edited their video to express their thoughts and views on global culture online. The programme was delivered by Dr Nurbiha A Shukor, Manager of Creative Multimedia and Learning Technologies, UTMLead, and Dr Farhana Diana Deris, Manager of Partnership, UTM International, with strong support from staff and lecturers of UTMSPACE, undergraduates and postgraduates from UTM ACES Toastmasters Club and UTM Toastmasters Club, and postgraduates from Malaysia-Japan International Institute of Technology (MJIIT).